Last week, Pasadena-based Rockoco announced that it had raised $1.5M in funding from the Pasadena Angels, for its technology which applies semiconductor processing to diamonds to create more brilliant and super-polished stones. It turns out that the firm--a spinout of Caltech--came out of the exact same lab as Helixis, the molecular diagnostics firm acquired for a healthy $105M by Illumina last week. We caught up with Paul Gloger, the firm's CEO, to learn more about the technology and company. Thanks for chatting today. What's the technology all about? Paul Gloger: We have a technology for dramatically increasing the fire and brilliance of conventionally polished diamonds. The result is our diamonds have more of those properties, which is what diamonds are valued for and is beyond what was ever achievable before. We do that by etching a diffraction grating to the bottom surface of the diamond. The effect is similar to the brilliant color flashes you see on the bottom side of a compact disc, which also functions as a diffraction grating. The way we do that processing, is we send the diamonds through a fairly standard semiconductor manufacturing process, even though we're not making traditional semiconductors. It turns out, diamonds are just about the best semiconductor material around, they're just a little expensive to use for electronics. But because they are, they work marvelously for semiconductor processing techniques. Who ever got the idea to apply semiconductor processing to diamonds, and where did this all start? Paul Gloger: That's a very good question. It came out of a lab at Caltech, operated by Axel Scherer. 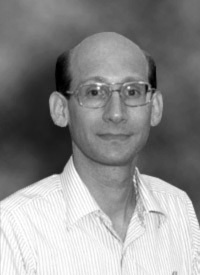 Axel Scherer is a Professor of Physics, Electronics, and several other things at Caltech, and is almost certainly the foremost expert on etching semiconductors for many purposes, including electronics, photonics, and biotech applications. As you probably know, there are now many applications for semiconductors, which are used as a substrate for all kinds of small scale, highly automated biotech applications and medical equipment. About four years ago, working in his lab was a Ph.D. candidate, George Maltezos. George was thinking about getting married, and wanted to get his fiancée a nice diamond. He observed on a graduate school site that he had been unable to buy a spectacular diamond, but figured that he was working in a lab with marvelous capabilities, and thought: what can I do? He consulted with Axel, and they got to thinking that this had never been done before. And, although the initial results had many flaws, they've taken the four years since to develop the technology to where you'd want to use it. They figured out that the idea was fundamentally sound, and you really could do spectacular things with diamonds. George, who has a Ph.D. from Axel's lab, was co-founder of a different company in the biotech area, Helixis, which came out of the same lab. Yesterday's announcement that Helixis was acquired for a nice sum by Illumina was a great news for the founders. Anyway, along the way, they also founded Rockoco. Now, we see you actually have paying customers for this technology? Paul Gloger: Absolutely. We've been in the public eye and have been in production since October. However, if one has technology in the gem industry, it is important not to be known in public until one has the blessing of the GIA--the Gemelogical Institute of America, in Carlsbad. The reason why, is you have new technology in the industry and don't have GIA blessing, you're presumed to be cheating. For example, high pressure high temperature treated diamonds. So what have they said about your technology? Paul Gloger: Starting four years ago, After George and Axel had the idea, another fellow and another founder in the lab there at Caltech, Ben Gudlewski started working on the technology. Ben spent four years developing the technology, first in the lab, and later in collaboration with a research scientist at the GIA. In October, nine months ago, the GIA published a short article describing our technology in favorable terms. Essentially, that was our license to operate in the gem industry. In January, they published a much longer article, a technical paper co-authored by GIA researchers and Caltech researchers, which described our process, very nicely illustrated with lots of photos of the process, equipment, and before-and-after. Are there issues with processing the diamonds? Paul Gloger: It's not an issue, because we're not applying a coating, covering the surface of the diamond, or changing the interior of the diamond. That's what GE did, when it went to market ten years ago with high pressure, high temperature (HPHT) diamonds. All of the sudden, there were a surprising large number of wonderful looking diamonds in the market, and it took a bit of time to figure out what had happened. The GIA then stepping in, and said "you can't do that." Whereas, for us, what we are doing is a cutting process. We're literally cutting additional facets -- microfacets -- at the nanoscale level, separated by an order of a micron. The grooves of our diffraction grating are just a cutting and etching process, and nothing is added. We're just removing some material. Because it's characterized exactly that way, that's okay--we're just doing what people have done to diamonds forever, just on a nano-scale, rather than a macro-scale. It appears people are already buying diamonds processed using your technology? Paul Gloger: Absolutely. It's only been a small number--a few hundred diamonds--but at this point, fair number have been passed on to retailers and sold on to customers. Where are you, in terms of status, as a company? Paul Gloger: We have raised about $1.5M. In the recent round, the Pasadena Angels were the lead investor, and not only that it was on their term sheet. Roughly $500K to $600K came from the Pasadena angels, and the rest from other angel investors. That closed in June. The purpose of that fundraising is entirely to set up our own production facility, and scale up production to meet a large order we already have in hand from our initial customer and marketing partner. Now, is this technology used on a more ho-hum diamond to make it better, or it is used on very good diamonds to make them even better? Paul Gloger: It's all of the above. If you have a mediocre diamond, we can make it look pretty darn good. If it looks good, it makes it look a whole lot better. If you have a spectacular diamond, we can make a diamond that looks a whole lot better than a diamond has ever looked before. Our very, very first retail customer--they're not our direct customer, but works with our marketing partner and distributor--was retailer Lynn's Fine Jewelry in Ventura. Bob Lynn, the owner of the store, has a wonderful story of how, when he received the first small shipments of our diamonds, was unpacking them in the back room, and one of is trained staff--as in all of most fine jewelry stores, is a GIA certified gemologist--from some distance casually spotted the diamonds told him they looked amazing, and was amazed because diamonds don't ever look that good. Do the diamonds first have to be polished and cut the traditional way? Paul Gloger: Yes, you always want to start with a properly cut and polished diamond. The better it looks before, the better I looks afterward. If it's particularly well done, we make it much better. Diamonds have a most marvelous refractive index, and traditional cutting is very much designed to take advantage of that. It's a multifaceted prism, which is used to capture light and bounce it around within that prism. A cut diamond, in the process, disperses light by color and reflections internally, and acts like a prism to disperse and eventually shoot all that light hitting the diamond from any direction out of the front, the crown surface, of the diamond. That what makes diamonds so bright, because of prismatic refraction and internal reflections. However, the technology for making diamonds do that was defined over 90 years ago, and hasn't improved since, until Rockoco. Finally, what's the next step for your firm? Paul Gloger: We are in the process of setting up our own production facility. Hopefully, this week we will have our own space and will start acquiring our own equipment. We're going to be setting up a production shop in Carlsbad. There are two reasons for the location: one, it's nearby the GIA, the guys who really know what is good and bad in the industry, and two, it also happens all of the semiconductor processing talent in Southern California is mostly in Southern Orange County and Northern San Diego. The confluence of those two factors told us to go to Carlsbad.